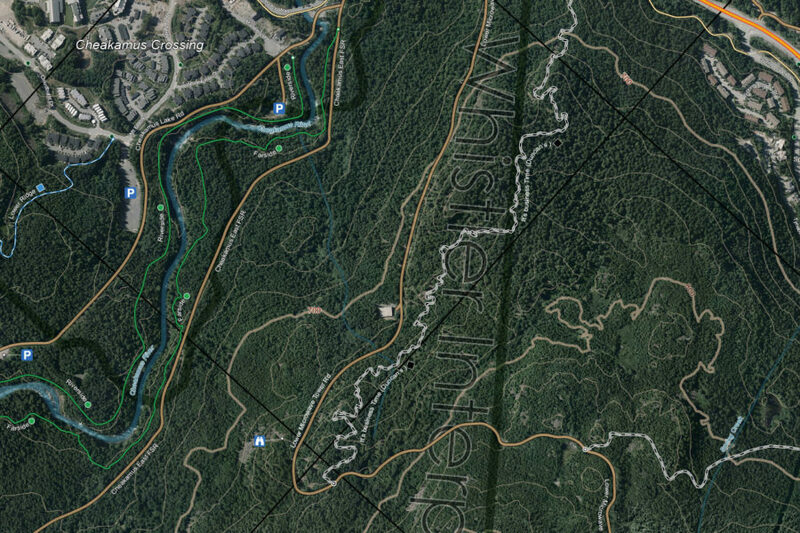 ULLR Adventure Maps creates maps that are custom designed from the ground up to provide adventurers with the most up-to-date, beautiful, precision maps for use on their mobile devices. Drag the slider below to see our orthophoto base layer and our completed maps with topographical and information layers added. 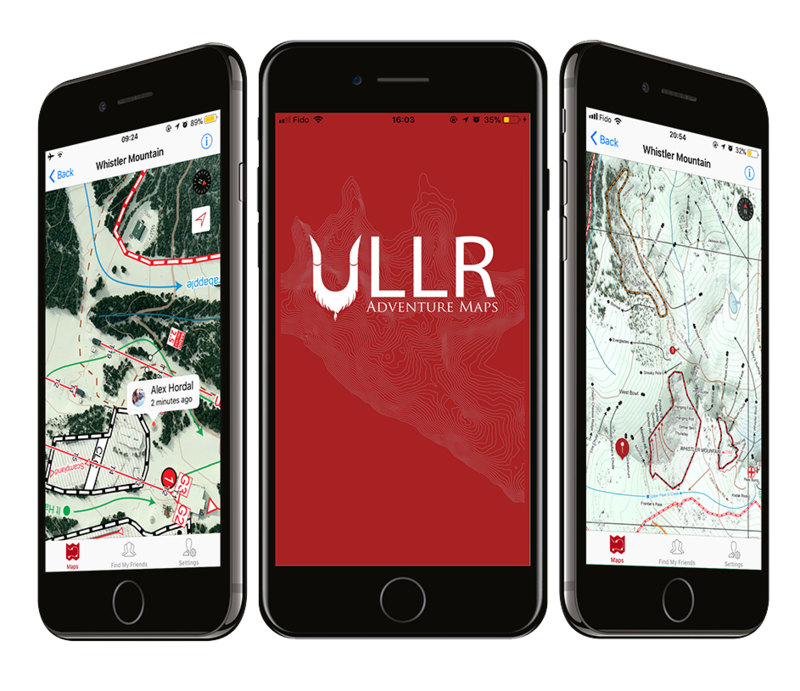 ULLR Adventure Maps run in our proprietary app, available on Google Play and the Apple App Store and includes a host of handy features so that you get the most out of your outdoor experience. Unlock the power of GPS on your mobile device. ULLR Adventure Maps give you the ability to pinpoint your position using dedicated GPS anywhere without using a mobile data plan. Up to your neck in trees? Have no idea where you are? Simply enable GPS / location pinpointing and you’ll have a bird’s-eye view of your surroundings and where you fit into the picture. With ULLR Adventure Maps, you can always keep track of your adventures throughout the day, all without using data. Color-coded tracks show your every move, max and average speeds, distance traveled, elevation loss and gained, time and more. Search by coordinates within the map bounds. ULLR Adventure Maps caters to our professional users as well. Coordinate lookup allows professional users to search for coordinates in WGS84. This feature is particularly useful for subject searches outside of ski area boundaries, in the backcountry. Once coordinates are received by a subject, they can easily be pinpointed in ULLR Maps, highlighting their location and facilitating search operations. Compete against other ULLR users for glory. A new beta-feature in our latest release allows you to test your metal against other ULLR users to see once and for all who’s really on top. Compete for first place in a variety of metrics including elevation gained / lost, distance traveled, average speed and time recording. Never lose your friends on the mountain again. Easily one of the most frustrating experiences on an otherwise perfect ski day is wasting time waiting separated friends. Maybe you’ll get lucky and meet up? Maybe not? Imagine how helpful it would be to know their location within the last few minutes. The find your friends feature helps you do just that. Keep track of your best friends on the mountain, and never lose each other again. ULLR Adventure Maps include one key feature that increases your safety and helps put your mind at ease. In our map information screen, you’ll find your current location in coordinates (WGS84 – Lat / Long), your location on an interactive map, your estimated elevation and the telephone number for your local rescue agency. Ease of use is an ULLR Adventure Map cornerstone. Our adventure mapping app is catered to every user from experienced users to beginners. We have focused extensively on ease of use and ease of map installation. Search for, and learn all about your favourite runs. 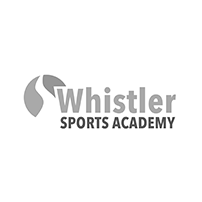 The run / feature database contains over 800 entries for Whistler and Blackcomb Mountains, including information such as location (coordinates), aspect, elevation, length, ride time, classification, elevation loss / gain and more. 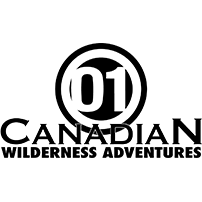 The database also helps users locate their favourite runs quicker than ever. Find out more about our app. WHAT ARE ULLR MAPS ALL ABOUT? ULLR Adventure Maps will change the way you look at the mountains. EXPLORING THE MOUNTAINS LIKE NEVER BEFORE. Let’s face it, ski resorts can be huge and intimidating, especially when you’re skiing alone. Wouldn’t it be great to know where you are and where you want to be going at all times? ULLR makes that simple. Purchase our app for Android and iOS and start exploring. Our app automatically orientates our maps in the direction of travel and gives you an accurate, GPS based bird’s eye view of your location and the surrounding topography, all without a cellphone data plan. Never get lost again, always know your location and explore with confidence. 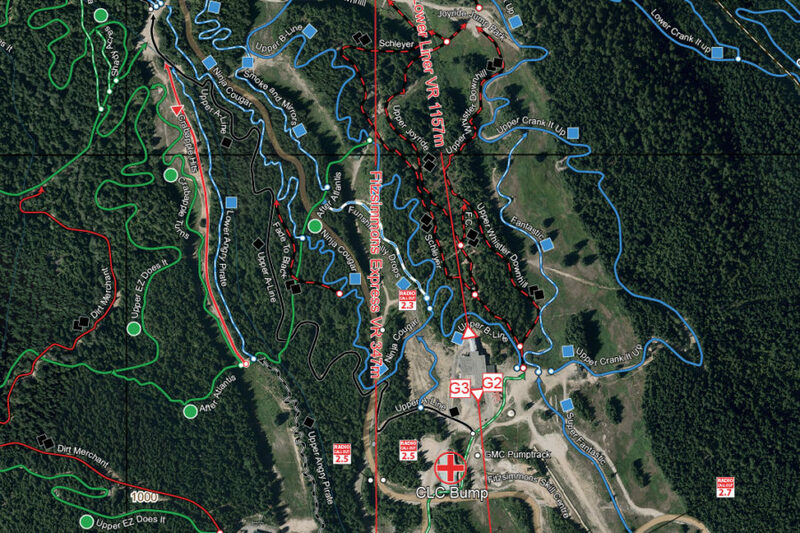 ULLR Adventure Maps help backcountry users make smart decisions and see the big picture. The backcountry is beautiful and potentially dangerous place. 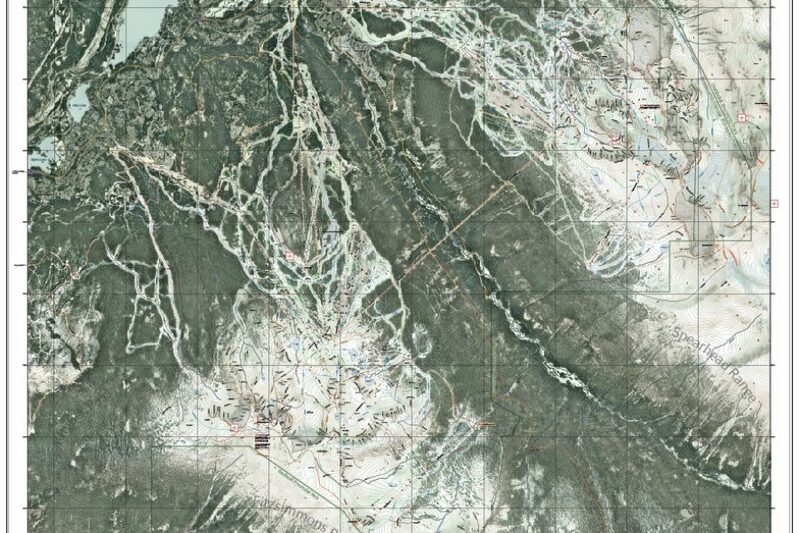 ULLR Adventure Maps, available for Android and iOS work extremely well in the backcountry. Functioning in conjunction with your phone’s GPS signal, backcountry users with a clear line of sight to a satellite can pinpoint their location anywhere in the world. Whether you’re pinpointing your location in a whiteout or just want to get a better picture of your environment, ULLR Adventure Maps will give you the confidence you need to make smart decisions in the backcountry. 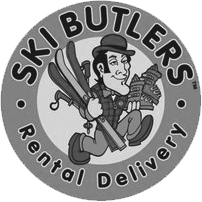 ULLR Adventure Maps help visitors learn the mountains and get the most out of their vacation. Picture this. Fred took a wrong turn and he didn’t meet up with you at the lift. Fred didn’t know where he was and you couldn’t find him. Don’t be like Fred. This happens more than you think and ULLR Adventure Maps, available for Android and iOS can help alleviate this problem. Get your friend to install the app on his or her phone and track their location, almost in real time using the “find my friends” feature. Keep your friends and family close and rest easy knowing you can always keep an eye on them. But sometimes you don’t want to keep track of your friends and just want to get out on your own. Our maps are a comprehensive and beautiful reference for your solo adventures. Browse our most popular maps below, or check out the full map library. 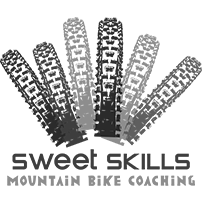 The development blog is our way of being transparent. Learn how we make maps, about the struggles and the triumphs and ultimately when we release our final products. © ULLR Adventure Maps 2017-2018, all rights reserved. ULLR has released our latest map, the combined Whistler and Blackcomb Ski Map! This map is more detailed than ever before and includes a variety of improvements including an increased resolution in our base image, an overall change in font / labelling, the addition and removal of infrastructure and much more. Our new map includes both Whistler and Blackcomb Mountains and is the largest map that we’ve created to date! Get more information in our map library, or on our Facebook page. Happy Exploring!